You have heard that dental crowns or dental bridges may be the solution to your dental problems but you really aren’t sure what this entails, if it’s going to work for your particular problem and really whether you can afford it. As Ft. Lauderdale dentists that specialize in all forms of dental procedures we can provide you with the answers that you are looking for. If you are suffering from teeth that have become weak or cracked, or are to the point when they are decaying, then you may be right in thinking that dental crowns is the way to go. However, as Ft. Lauderdale dental specialists we aren’t going to jump to that conclusion. Making the right choice of what your dental solutions are has to be based on a thorough dental examination and then we will advise you as to what your options are. Every person is an individual, and this is the approach that we take with each and every person who comes to our office. We want what is best for you. Whenever possible here at JJ Dental we feel the best solution is to save your natural teeth. In order to accomplish this it means putting to use all of our high caliber dental equipment and taking the time to utilize all our skills and expertise no matter what procedure we are implementing. Although as Fort Lauderdale dental specialists we really strive to maintain the natural teeth, there are times when this is not possible or even advisable. You may already be missing one or more teeth, or some of your teeth are beyond repair. That doesn’t mean you have to lose all your teeth, nor should you consider having dentures unless we as your dental specialist advise you to do so. Although bridges are often used to replace missing teeth they also can be a great solution for teeth that are crooked or where large gaps have appeared. The procedure consists of constructing an artificial tooth or teeth that are kept in place by a crown that is joined to your natural teeth. Our goal is to ensure that these teeth replacements blend in naturally with the remainder of your natural teeth. Something else that we may suggest to you is dental implants. 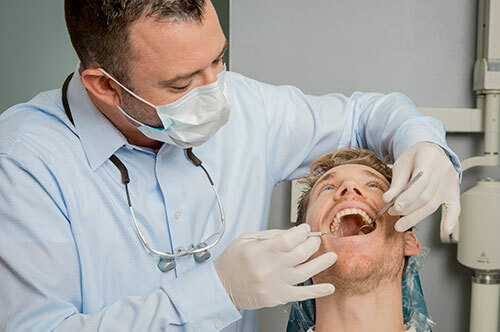 So far we have talked about how we as your dental specialists in dental crowns and bridges in Ft. Lauderdale will only advise the use of these procedures based on our dental examinations and findings. You should now feel confident that we have the modern technology and equipment as well as expertise to carry out these procedures. There is one more concern to talk about and that’s the cost. All too often individuals don’t seek out the wonderful dental opportunities that are available such as crowns or bridges because they feel they simply cannot afford it. This is especially true if they don’t have Insurance, or if their particular coverage deems this type of dental procedure as cosmetic dentistry and won’t cover it. We here at JJ Dental know that this is a major problem when it comes to dental care in Ft. Lauderdale, and we are pleased to be able to offer some financial solutions. Be sure to take a look at our payments section and you will soon learn that you don’t have to be deprived of a dental solution that you need merely because of cost. As with anything that comes to your personal health it is never wise to self diagnose. Let us as professional Ft. Lauderdale dentists do our work and put our training, education, experience and expertise to work for you. We are sure that here at JJ Dental we have the answers to your dental needs. Call 954-463-7262 now for your dental solution.